Apricot Kernel Oil - Amphora Aromatics Ltd – Supplier of pure essential oils and aromatherapy Products. 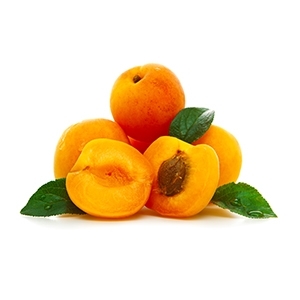 Apricot kernel is a very popular oil for massage. It's great to use on it's own but even better when used as a base oil for blending with essential oils. Apricot kernel oil contains antioxidants, minerals, vitamins A, B1, B2, B6, B17 and E. It also has Omega 3, 6 and 9 essential fatty acids. It is readily absorbed by the skin thanks to it's light texture and is especially recommended for mature, dry or sensitive skins. A highly nourishing and moisturising oil, it's very similar to Sweet Almond and is used instead of that oil on people who suffer from nut allergies. Perfect for use with any essential oil which is suitable for use on the skin. Dilution rates vary between different essential oil so you should always check the guidelines for each oil before use. Additionally it may be included in blends with other more expensive carrier or vegetable oils to lessen the cost of using them.